Hundreds of thousands of burn injuries occur each year, resulting 40,000 hospitalizations and over 3,000 deaths annually. Burns can take long periods of time to heal and can often result in disfigurement or scars that victims may carry for the rest of their lives. Often, children are the victims of these types of injuries: hundreds of children perish each year as the result of burn injuries. What Are Types of Incidents Happen in Essex County Where I Could Get Burned? 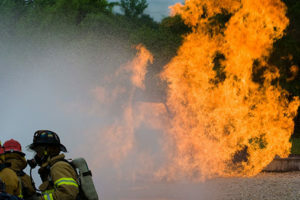 Some common types of incidents that result in severe burns include vehicle fires, structure fires, electrical fires, workplace fires & explosions, pipeline and propane tank accidents, defective products, electrocution, steam and scald burns, medical malpractice, and chemical exposure, among others. If you or a loved one have suffered a burn injury as the result of an auto accident, product liability, construction accident, workplace incident, or under other circumstances, a burn injury lawyer at Birkhold & Maider, LLC can evaluate your accident and counsel you on the best course of action going forward. We serve clients in many townships and jurisdictions across New Jersey including Newark, Belleville, Paterson, Clifton, Passaic, East Orange, Bloomfield, Nutley and other townships in Essex, Passaic, Bergen, Union, and Middlesex Counties, and beyond. Get the right representation in your corner before you face the New Jersey court system. A personal burn injury lawyer represent clients in most types of burn injuries caused by the negligence of others. We will be your advocate as you recover from your accident, and will bring in the right experts to assist in building your case should we go to trial. Burns suffered on the job may be eligible for a workers compensation case. Birkhold & Maider, LLC has provided legal counsel and representation for workers’ compensation cases in Essex County workers compensation court, Passaic County workers compensation court, Bergen County workers compensation court, Union County workers compensation court, Middlesex workers compensation court, and elsewhere in the state of New Jersey. When you contact the Nutley, NJ-based firm of Birkhold & Maider, LLC for a free case evaluation, an experienced burn injury lawyer will review your incident, looking to police accident reports, fire department investigation results, work accident reports, and medical records, among other sources to determine the cause of your burn and whether you may have a case to pursue for the recovery of damages resulting from your injuries. We have the ability to conduct an independent investigation and consult with qualified fire and burn injury experts. Birkhold & Maider, LLC lawyers provide varied and effective representation individually tailored to each client. We work for you, and create legal plans that keep your needs and comfort level in the forefront throughout the entire process. Whether the outcome is a settlement or a trial decision, we will counsel you wherever there are decisions to be made.To learn more about our firm, we invite you to review our practice areas, attorney information, or contact us online for a free case evaluation. Or contact Birkhold & Maider, LLC at our physical address,189 Franklin Avenue, Suite 1, Nutley, NJ 07110, or call us at (973) 947-4670.